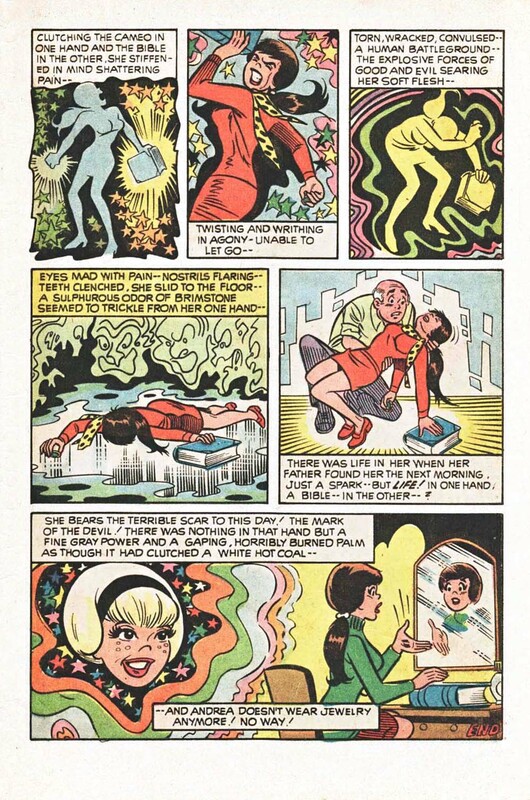 Satanic Possession in Archie Comics – Sabrina the Teenage Exorcist! | The Eye of Faith Vintage 11.11.11. 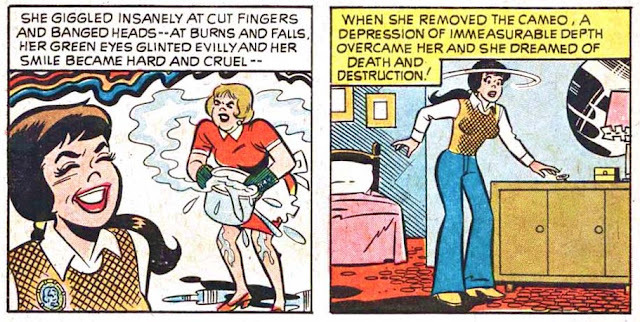 Satanic Possession in Archie Comics – Sabrina the Teenage Exorcist! We are always in a nostalgic mood when it comes to our evening reading. 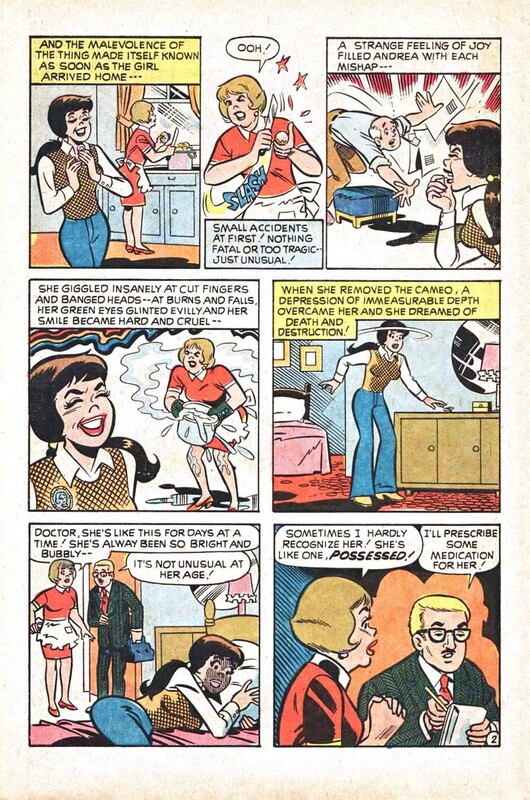 Infact, we love delving into a quant story from Riverdale! Homeland of our favourite group of teenagers, the Archie’s and Sabrina the Teenage Witch, along with Josie and the Pussycat and so many other fictitious characters. Now …what would it take to bring us a story of true captivity.. and wonder?? Perhaps it would add some excitement with the addition of The Devil. Well perhaps is no true reason as to why, but why on earth would a children’s publishing company come up with a plot line involving satanic possession?? Naturally, the Exorcist made QUITE the splash upon it’s release at the time. 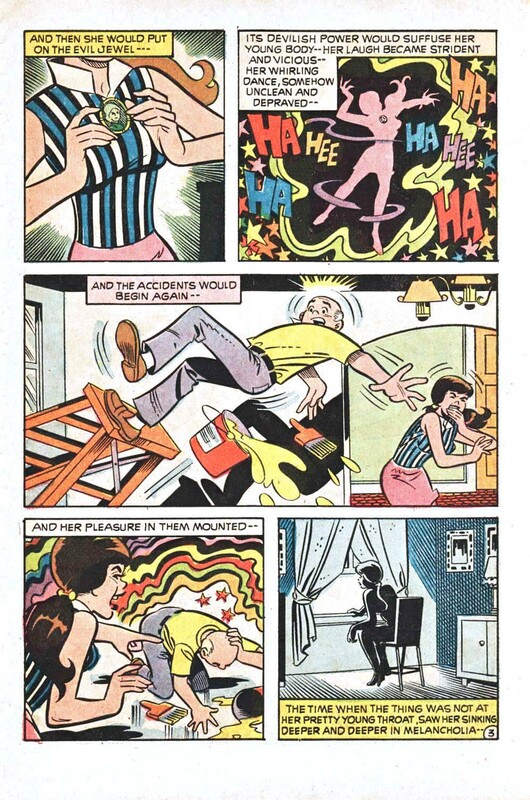 We reckon the Comic publishing company only meant to make thing’s a little more exciting. And we say.. it worked! 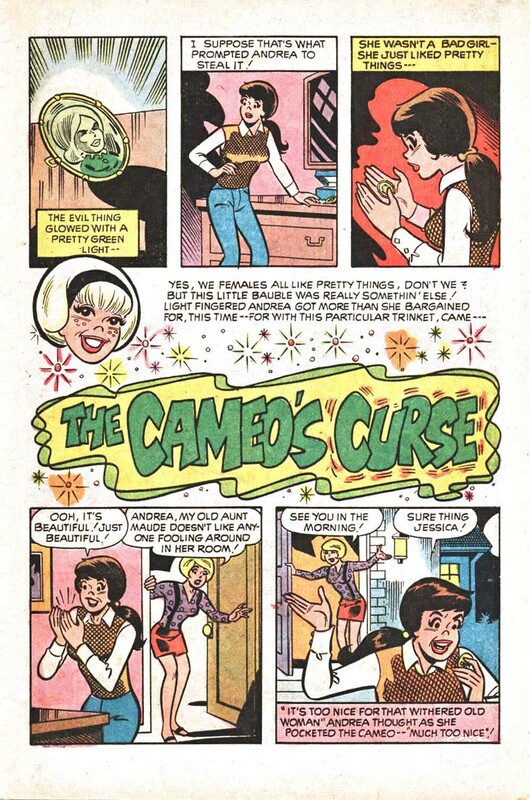 With plot-lines normally consisting of ‘what to wear to the beach’ or ‘who wants to meet for a sundae’, we here at The Eye of Faith are very entertained by a tale of an Evil Cameo Pendant which carries a Evil Curse. Big Up’ to one of our FAVOURITE retro sources online RetroSpace for posting this amazing story. We have to admit our genuine amusement as we read this comic. We hope you guys get a kick too!! 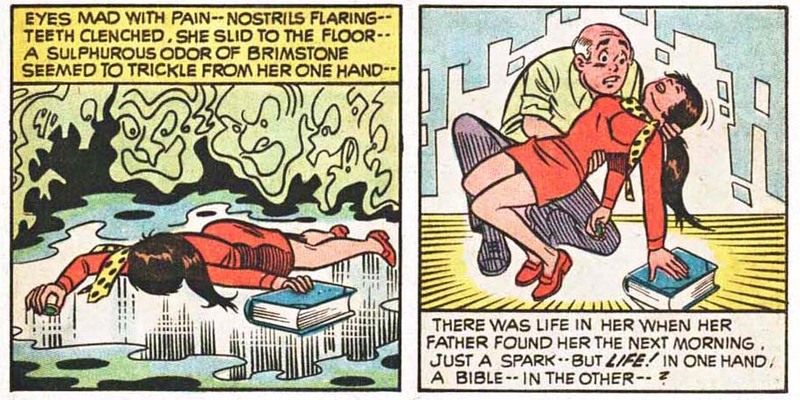 Even if this was all done to get some of the Exorcist’s hype, we say kudo’s… kudo’s to teaching kids the importance of the Bible and expelling any evil within.